The plaintiffs' lawyers have sent a notice sent to "all current or former Site Managers and Managing Editors" since March 2015 asking if they want to join this class, with a response requested by June 3. Back in September 2017, Cheryl Bradley (a former site manager at SB Nation’s Mile High Hockey) filed a lawsuit “both individually and on behalf of all persons similarly situated” against the company, claiming that SB Nation’s site managers pass the legal standard under the Fair Labor Standards Act to be considered employees rather than contractors. That lawsuit came weeks after a Deadspin piece on working conditions at the company. 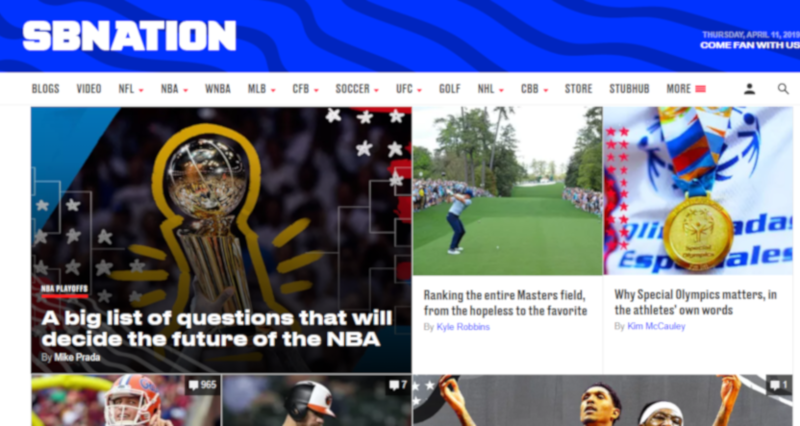 In September 2018, U.S. District Judge Rosemary Collyer allowed the lawsuit to move forward, and the lawyers for the plaintiffs (now including Bradley, John M. Wakefield and Maija Liisa Varda) have now reached out to other SB Nation site managers with information on the lawsuit and the option to participate in it. The notice states that “Plaintiffs’ lawyers must receive your form by June 3, 2019 in order to preserve you right to join this case.” It also mentions that the FLSA “prohibits Vox Media from retaliating or discriminating against you in any way because you elect to join this case” (relevant for current site managers), and also mentions that the filing deadlines here are now three years after the violation or four if the violation is found to be willful (which explains the March 27, 2015 date listed above), extended from the general two or three year deadlines respectively. As with all lawsuits, there’s no guarantee that this winds up in court. And many lawsuits on the contractor versus employee question have been settled outside of court, such as a Yelp one in 2012 and an AOL one in 2009 (which, as this complaint notes, involved some current Vox executives who were at AOL at the time). We’ll see if that happens with this one, or if it winds up going to trial.